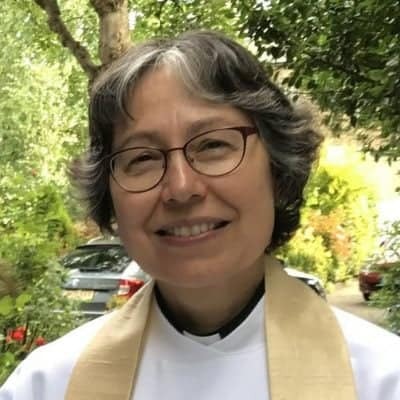 Hello, I’m Sue, and I have been the Curate in Calverley since September 2017. I work in an assistant role alongside Phil. In a former life I worked as a GP in the York area, and spent time at home bringing up our children. Our family enjoy anything to do with the outdoors: walking, climbing, camping, though I draw the line at my husband’s interest in caving! I’m involved in all aspects of the life of St Wilfrid’s, and I love the fact that we have so many children and young families in church, that we’re so involved in local schools and opening up our beautiful church for community events, and that you can always get a good cup of coffee and meet someone friendly at Coffee Shop on Fridays. I’m really interested in helping people to discover life-giving personal faith in Jesus Christ, and my prayer is that wherever you are on your journey of faith, you will find something here that will help you to make a deeper connection with God.